It’s the season of spring! It’s the season of colours! - The time of the year when your world is filled with nature’s bright colours. Decorative wallcoverings are an easy way to bring these vivacious colours inside your home. From a minimalist monochrome shade to vibrant patterns, wallpapers can make your home walls look arresting and captivating from the first sight. Excel Wallpapers have an extensive collection of wallpapers, ranging from simple designs to a burst of colours. When it comes to wallpaper designs for walls, the main attraction is either the pattern or the colour. Depending on the home owner’s tastes and preferences, one can choose a simple design for a serene and calm décor style or they can pick something dynamic and colourful to create a cheerful atmosphere. Modern wallpaper styles are so much more than just florals and stripes. Home wallpaper has evolved greatly with passing time. From mural paintings to natural scenery, the possibilities for wall fashion are endless today. Bright and colourful wallcoverings are a great way to jazz up a room without adding any unnecessary décor and clutter. 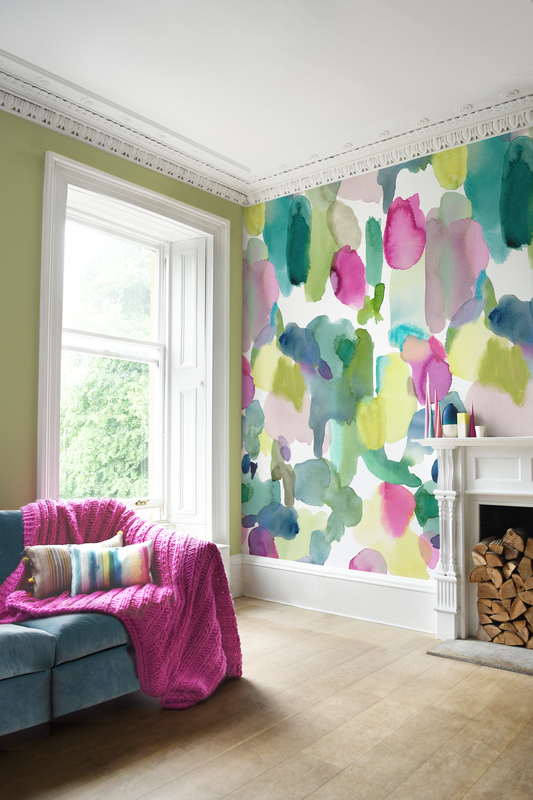 Here we list out some great wallpaper ideas to add colour to your home walls. What’s more colourful than butterflies surrounding the air? Stunningly bright colours of red, yellow, blue and orange combination and contrast to create a really vivid wallpaper design. 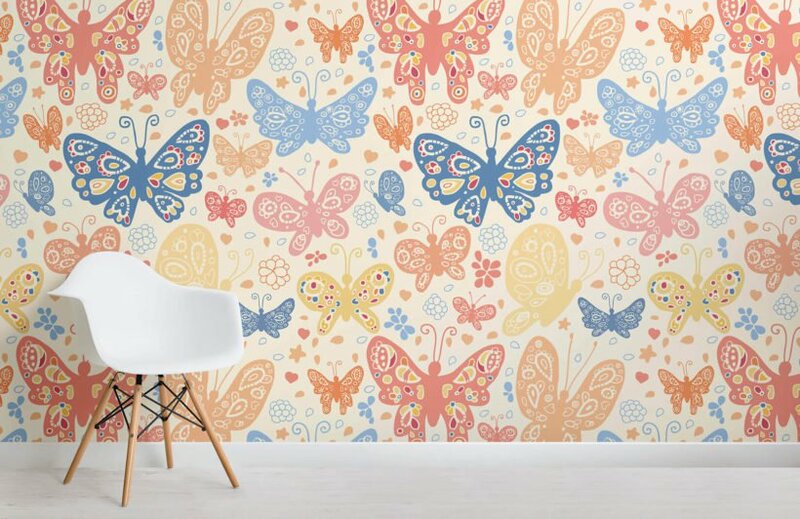 Cover up your walls with scores of butterflies that will transform your room into a spectacular sight. This beautiful pattern is ideal for your little girl’s bedroom walls. It will also look great as living room wallpaper. Geometric wallpaper designs for walls are pretty common to see. Classical shapes like triangles or hexagons add elegance and sophistication to a room. 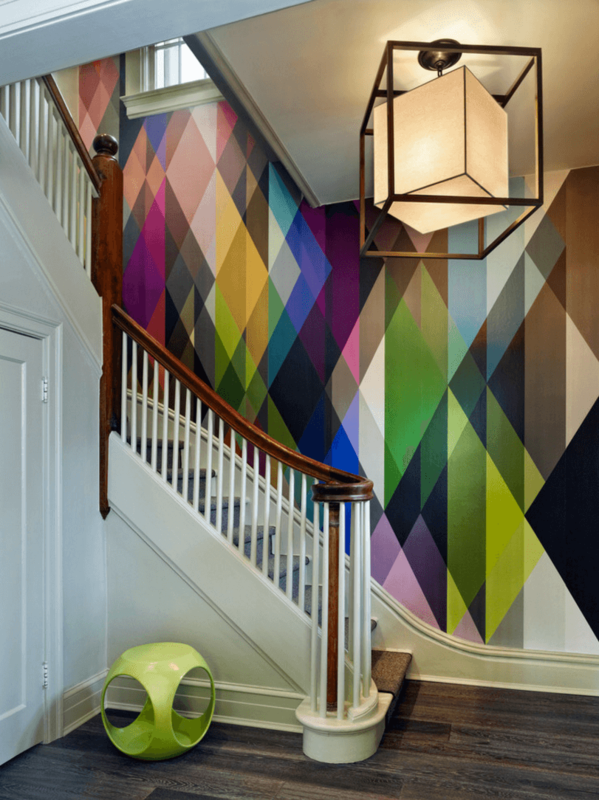 To add a coloruful twist to this much-used pattern, find wallcoverings where geometric shapes feature a mix of colours all at once. Such a vibrant design creates a modern graphic look for your home walls. They will look great in the living room or in the kitchen. Excel Wallpapers have an impressive assortment of geometric wallpapers in varied colours. Bring in the tropical jungle into your homes. The arresting sight of dark green leaves covering your walls creates a fascinating appearance. The greenery is at once mythical and also sophisticated. Home wallpaper with botanical prints is quite popular. 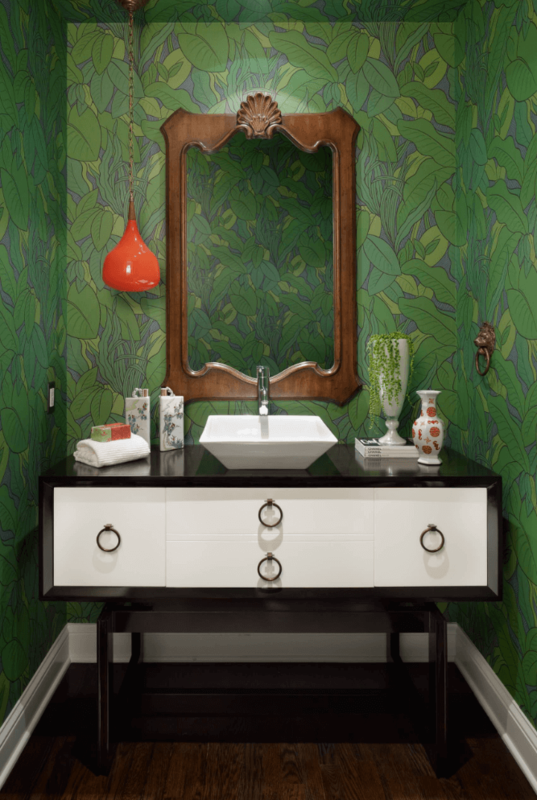 The leafy designs are commonly seen in the living room, bedroom, and sometimes the bathroom too. Excel Wallpapers offer a wide variety of botanical designs for your home walls. Tired of the overused floral pattern on your walls? Watercolours are as bright as the blooming flowers but lack the vintage feel of those rose bushes. Wallcoverings that resemble a painter’s palette carry a gorgeous multi-color appeal featuring every hue from green to pink to blue. The different mix of colours creates a beautiful contrast and can work perfectly as an accent wall design. Excel Wallpapers offers you bright and vivid colourful wallpaper designs that can easily brighten up your mood and bring in a playful and exciting feel to your personal space. Browse through our collections and choose the perfect wallcovering for your home! Super Easy Steps To Glam Up your Living Spaces! How to make a statement with bedroom wallpapers? Why nonwoven wallpapers are the most user friendly? Which 2018 Decor Trend Describes You Best? How to become a (Wall) Fashionista?